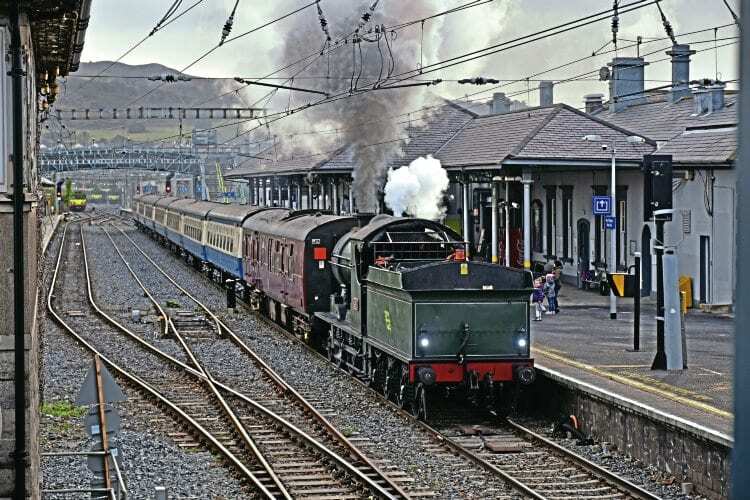 THE Railway Preservation Society of Ireland’s Dublin-based team is hoping that a new source of coal could be the answer to the shy steaming tendencies experienced by ex-DSER 2-6-0 No. 461. The society’s loco representative in Dublin, Gerry Mooney, ordered a trial batch of coal from the north-east of England for the first weekend of the 2016 season of Dublin to Greystones ‘Santa Specials’, after seeing how Ian Riley’s ‘Black Fives’ performed with it on the ‘Jacobite’ trains in Scotland. No. 461 was put in charge of the second of the day’s three trains on December 3, the new coal making a huge difference to the ‘K2’s’ performance as it made light work of the eight-coach train (seven Cravens, plus Mk1 generator van) and gave driver Robert Jolley plenty to work with.